Voice-based interfaces are the torchbearers of the future. They are creating a world where it’ll be possible to talk to machines for getting work done. Imagine being able to instruct your refrigerator to get the address of the nearest grocery store when you run dry of grocery supplies in your home. Or find out how far is the nearest diner by asking your car when you’re on a road trip. These are just some of the basic capabilities that voice-based assistants in gadgets bring to the table. 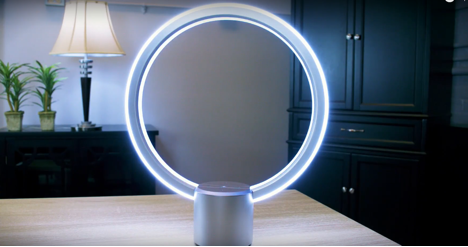 Take the example of GE’s Alexa-enabled lamp called the Sol. The device will include built-in Alexa Voice Service or AVS, which allows customers to control the lamp as well as other devices using voice commands. Although it is in a nascent phase, big players like Microsoft, Amazon, Google and Apple are setting the stage for conversational search. To be one up your competition, you need to be on top of these searches as the approach differs from the approach used for text-based searches. It’s all about connecting the dots in a seamless manner and these pointers will come to your rescue. A personalized user experience is the mainstay of voice-based search. When the users use their voice to ask questions, the answers need to address their queries perfectly and solve their problems. The results need to be prompt and on the spot. A voice-based search assistant should have these features and more, considering the breakneck speed at which technology is progressing. 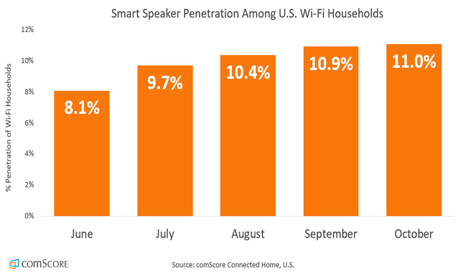 For instance, the use of smart speakers has grown tremendously in the recent past. These devices not only offer music and news, but also provide notifications and answer basic questions. While Amazon Echo and Google Home have forayed into several households, Apple’s Homepod will soon make its debut on the market. More often than not, people are busy with little time on their hands to carry out several tasks at once. Voice-powered assistants can help them increase their productivity by offering them simpler ways to find information. Johnnie Walker, the whiskey brand made its debut on Amazon’s Echo. 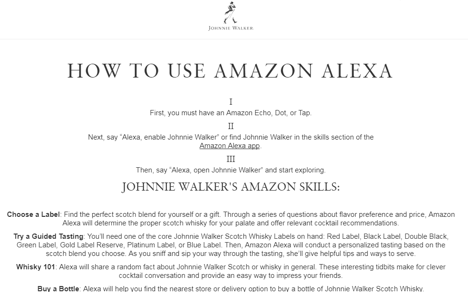 When users tap the voice service and say “Alexa, open Johnnie Walker,” it provides answers that includes cocktail recipes or blend suggestions. It also launched a Messenger bot on Facebook that serves more functions like delivery. Overall, the Amazon skill of the brand reduces the timeframe for getting information by providing results instantaneously. Similarly, when you integrate voice search with your marketing efforts, make sure that you’re giving users the solution by cutting down their time, helping them take control and manage all the tasks. In essence, you have to make multi-tasking effortless for them. Your result should be the most preferred answer, when a user asks a query using voice assistants. To ensure fruitful human-to-human interaction using voice, ensure that AI clearly understands what is being said. Instead of relying on keywords, focus on regular speech. Likewise, attempt to provide answers based on subtle nuances like locations and personal preferences. This is one part where Siri is still struggling. It sometimes fails to get regional accents, quirks and it leads to users changing the way they speak in order to get the perfect search results. The problem can be solved by path breaking technology like the Hound app. 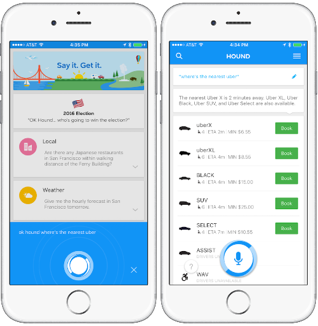 Launched by SoundHound Inc., Hound claims to be the world’s most advanced voice search and assistant app. Using Speech-to-Meaning™ technology, the voice recognition app lets users talk in their natural tone, accent and pace. The hands-free interface has collaborated with Yelp and Uber. It will make Uber ride requests a breeze for customers who need to rush to their destination and have no time for typing their options in the app. The only way to refine search from the outset when the user is using voice, is to ask them follow-up questions. At the same time, it is also essential to remember the answers provided by the users to the previously asked questions. This will not only give them a real conversation, but also help you refine the search to deliver 100% accurate and satisfactory results. With Google claiming that its voice search has an error rate of under 5%, it shouldn’t be a problem refining the search results for your users. Voice search is going to change the equation of search. Consequently, websites that relied heavily on text-based search should be optimized from the beginning. Because people will now search for “where is the nearest gas station in Utah” instead of “gas station in Utah,” the focus will shift from keywords to natural, everyday phrases people use. How can your technology help me? Where can I find your nearest store? When will your next product launch take place? Until and unless you conform to the natural language used by people, your business or brand will be dead in the water before long! A large volume of voice search queries is location-based and made using mobile devices. Hence, when you want to ensure that your content is visible to your target audience, use maximum local data in the content. It can include reviews, testimonials as well as the contact information of your brand/business. This requires rethinking of your strategy for showing up for branded searches. Some small but crucial steps in this direction include verifying your Google My Business listing, using a consistent NAP (Name, Address, Phone Number) on your online profiles, testing your keyword optimization strategy and adding the misspelt words to the list. The power of voice is not just limited to providing services; there’s something more important called Voice Commerce. For example, you can think of Alexa skills, which can add products to Amazon shopping list. Walmart for instance, launched voice ordering on Google Home for over 2 million products. 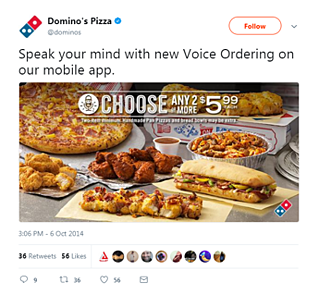 Another case in point is Dominos, which is among the early adopters of voice-powered products. The pizza company came up with a voice-activated pizza order app, developed in collaboration with Nuance, a speech recognition firm. This helped the firm gear up for efficient and accurate delivery. When you’ve products to sell, this sure is an effective way to do so in the near future! This was our take on making the most of voice-based search for your brand or business so that it doesn’t lose visibility. Stick to being accurate and keep abreast of the latest happenings in the industry and you’ll never go wrong when it comes to keeping up the pace and winning! 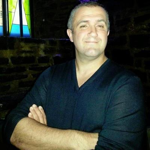 As Chief operations officer, Chief product officer and Scrum Product Owner, Sébastien is the mastermind behind Nutcache. He is a certified Professional Scrum Product Owner with over 20 years experience in project management in the software industry. His project related articles have been published on several major websites and blogs such as tech.co, smallbiztrends.com, business.com and many others.